Want to Teach English in Argentina? Welcome to Buenos Aires – a city whose nine million inhabitants enjoy a cultural sophistication exhibited in its Parisian architecture, Italian heritage, and European feel. The Training Center is located in one of the most historic neighborhoods in the city. Close by, you will find Buenos Aires’ most visited monuments, including the Pink House (Casa Rosada), the famous Congress building and the 9 de Julio Avenue. The area is surrounded by shops and cafés and we are conveniently located next to numerous bus and subte (subway) lines, providing our students with easy access to anywhere in Buenos Aires. The TEFL training takes place at a Spanish language school. Classrooms are very comfortable, with lots of natural light. Students have access to WiFi and there is a free coffee bar available all day long. The environment is friendly, supportive, encouraging, relaxed and professional, making sure that you feel comfortable in your new role as an ESL teacher. 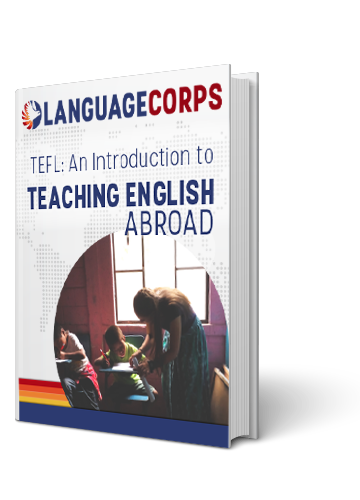 This intensive, four-week TEFL course fully prepares you to teach English to non-native speakers anywhere in the world. The training includes 120 hours of classroom time and a minimum of 6 hours of observed Teaching Practice with local EFL students. You will learn to identify students’ skills and needs and how to apply various teaching methodologies to different types of students. Based on your training, you will learn how to plan effective lessons, teach grammar and pronunciation and effectively correct errors. You will have listening and writing workshops and gain real classroom experience with Argentine students. Your classes will be observed by your TEFL trainer, who will provide you with constructive and invaluable feedback to help drive your teaching style to perfection. Unique in this program is a component which focuses on using new technologies in the classroom. The use of new tools and resources in the classroom prepares you to teach English in the age of technology. As with all of our courses, job search assistance is provided. Spanish language classes can be added to your program for an additional price. The TEFL Certification Program Fee in Buenos Aires, Argentina is US$1,579. This includes airport pick-up in Buenos Aires. Optional accommodations during training are available in a shared room in a Student Residence for $700. If you are interested in brushing up on your Spanish, you can enroll for Spanish classes organized by the language school for an additional fee. 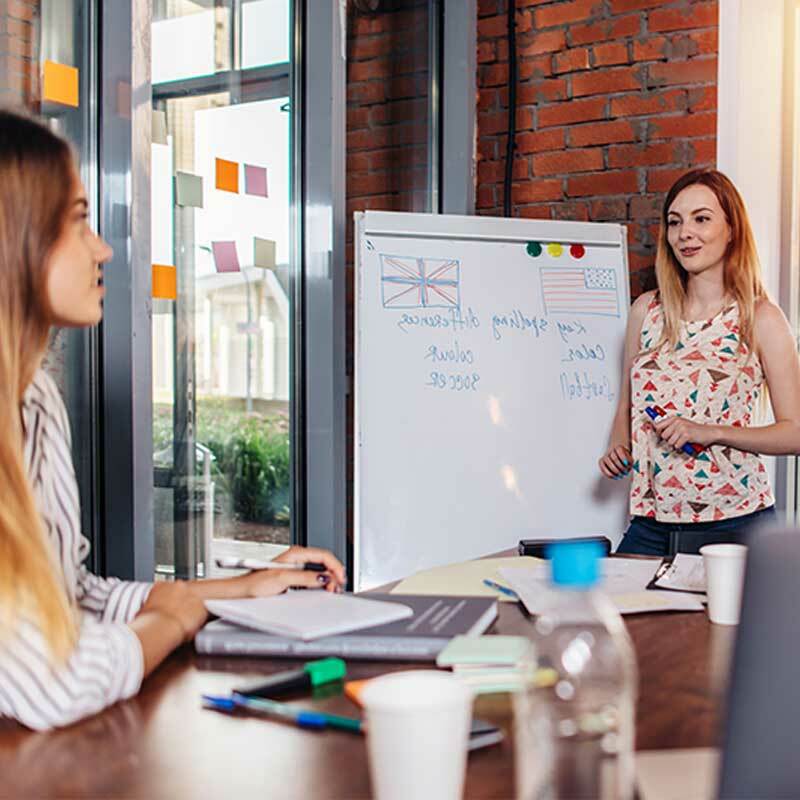 With a booming corporate sector, students in Buenos Aires are often adults and professionals who need to learn English for their business careers. This makes for very motivated students who are eager to learn and rewarding to teach. English classes are given at private language academies or in-house at businesses. Some institutes also offer travel stipends to teachers commuting to the offices of business executives. Many English classes in Buenos Aires are quite small; 1-4 students. Most teachers stay in Buenos Aires after getting TEFL certified, as the demand for teachers is high in Argentina’s capital. Other popular teach abroad destinations are Cordoba, Mendoza, Bariloche and Rosario. Hiring happens year round, although the peak hiring months are February-March when the Argentina school year begins, and again July-August. English teachers in Buenos Aires’ schools earn competitive salaries, often in professional and friendly school atmospheres. Teachers are usually provided with a variety of useful resources which would be envied farther north, from books and videos to audiovisual equipment. Most of the contracts are part time, and teachers work between 20-25 hours per week. More experienced teachers wishing to supplement their income are usually able to teach private classes outside of their part time school hours. It’s also common to have two part time contracts at different schools. The typical contract length for teachers in Argentina is 6-12 months. Generally speaking, teachers need to be in Argentina to interview in person for their job. In very few occasions, a phone or Skype interview before traveling to Argentina is possible. Be prepared to start working at short notice! A TEFL, TESOL or CELTA certificate is needed for teaching ESL in Argentina and makes you very marketable as a teacher. A 4-year degree is strongly preferred, but not always a requirement. Having a business degree can be helpful when teaching in a corporate setting to more advanced speakers of English, but with the strong demand for teachers in Argentina it is certainly possible to obtain a paid teaching position without a degree. The average salary for ESL teachers in Argentina is $700-$1100 a month, based on 10-12 month paid teaching assignments. Salary for shorter-term assignments may be on the lower end of the displayed range. Teachers in Buenos Aires are normally paid by the hour. The cost of living is generally low and you should be able to live comfortably on ESL teacher wages. The rent for a furnished apartment is around $350-$550, while a full 3-course lunch goes for about $7-9. Benefits: airfare, housing and health insurance are typically not provided by the employer. After your training, you will most likely rent a room in an apartment or house with other teachers, students, or Argentinians. Some employers will provide a room for you, either shared or single (usually in an apartment with other teachers) and provide you with a monthly stipend. Visitors from EU countries, United States, Canada, Australia, and New Zealand do not need special visas to enter Argentina. You will automatically receive an entry stamp as you come through immigration at the airport. The stamp is usually valid for 90 days, but may vary. Please note that U.S., Australian, and Canadian citizens have to pay a fee when entering Argentina which will be valid for 10 years. The common practice for teachers in Argentina is to work on a tourist visa and hop the border every 90 days to stay in the country legally. The easiest and cheapest way is to take a ferry to Uruguay, but if you’re lucky you can find a cheap flight to one of the other neighboring countries, like Brazil, Chile or Bolivia. Officially, a tourist visa does not allow you to work. However, as the demand for teachers rise, most schools avoid the hassle of sponsoring a work visa, so teachers are generally hired for ‘cash-in-hand’ positions, and get paid under the table. Citizens from Germany, Armenia, Australia, Denmark, France, Ireland, Norway, New Zeland and The Netherlands can apply for a Working Holiday Visa. LanguageCorps can offer assistance in obtaining this visa. It will allow you to reside and work in Argentina for up to a year. Just like in most Latin American countries, it’s quite difficult to obtain a work visa for Argentina. However, sometimes teachers that decide to stay in Argentina long-term, and mostly when they work at public schools, are able to find an employer who wants to sponsor them. Keep in mind that this can be an expensive and time-consuming process. Argentina is the home of the tango, of the wandering pampas gaucho, of suited Western businessmen sipping espresso in an elegant urban setting before setting off for ice-hiking through Patagonia over the weekend. Beyond the capital, this vast and varied country stretches from the spectacular tropical waterfalls of Iguazú on the Brazilian border to the frosty town of Ushuaia in southern Tierra del Fuego. In between, you’ll sample the products of the world-class wineries of Mendoza, take the famous “Train of the Clouds” to the town of Salta, and warm up after a day on the slopes with a cup of hot chocolate in Bariloche, the ski and chocolate-lovers paradise. Buenos Aires is seasonal, so be prepared to wear shorts and t-shirts in the summer, and warm jackets and sweaters in the winter. A lighter jacket for spring evenings and fall days will come in handy. Buenos Aires is mild and humid most of the year. Spring (September to November) tends to be pleasant, with temperatures ranging from 18º to 20º Celsius (64º to 68º Fahrenheit). Summer (December through February) is hot, with temperatures reaching above 30º Celsius (86º Fahrenheit), and hot and humid evenings. Fall (March through May) is nicely cool, with temperatures from 12º to 15º Celsius (54º to 59º Fahrenheit). Winter is somewhat chilly in Buenos Aires, and can be harsh in the deep south. Daytime temperatures range between 3º and 8º Celsius (38º and 46º Fahrenheit) in the city. Buenos Aires’ enjoys diverse cultural influences of French architecture, ingrained Italian roots, and Western European vibes. Add to this the exquisite cuisine and legendary nightlife and you can easily understand Buenos Aires’ enduring popularity. It would take a lifetime to visit all the restaurants, cafes, and dance clubs the city has to offer, but that lifetime would be spent wandering broad tree-lined boulevards, marveling at marble neoclassical facades, and enjoying world-class opera at the famous Colon Theater. Parilla means grill, and grills are for meat. Be aware that, in Argentina, cattle are well cared for and well cooked. No part of the animal is wasted, as you will discover on your plate. Carnivores rejoice; Argentina is a piece of your heaven. Given the preponderance of grilled meat in Argentine cuisine, vegetarians might worry about fitting in culturally. They need not worry about starving, however, as Western European (especially Italian) venues frequently offer vegetarian options, and there are even a number of vegan restaurants. Lunch is traditionally eaten between 12:00 pm and 3:00 pm. Many people in Argentina enjoy tea around 5:00 pm, allowing them to hold off until supper which is usually somewhat late – if you go out to eat before 8:30 pm, the restaurants will be nearly empty.A 10% tip is customary at restaurants and cafes. The tap water in many of Argentina’s larger cities is heavily chlorinated and does not taste very good, although it is safe to drink. Teachers should be prepared to dress professionally while working; you might even see some teachers wearing suits! So will many of your students as you can likely find yourself teaching business professionals. Certainly, language schools don’t permit jeans or athletic shoes. At the very least, males should bring a few ties, collared shirts, and dress shoes; females are advised to bring business professional dresses or skirts, sweaters, and/or nice blouses. Buenos Aires is an enormous city where you can easily keep yourself entertained for a while without seeing the same thing twice. The city abounds in beautiful architecture, much of it traced to an ambitious rebuilding project instituted long before Argentina’s 1910 centennial celebration of its independence from Spain. The building plan was put into action in the 1880s, when the French Beaux Arts movement was at its worldwide height. Therefore, much of the city looks more like Paris than any other Latin American city. Avenida de Mayo is an excellent example of this; it is the city’s official processional route that links the Presidential Palace (Casa Rosada) to the National Congress Building. The corner buildings, along the wide Diagonal Norte, also known as Avenida Sáenz Peña, are all topped with fantastic neoclassical domes. You should begin at the Plaza de Mayo until it hits the Obelisco, Buenos Aires’ defining monument at Avenida 9 de Julio, the world’s widest boulevard. Don’t miss the neighborhoods of San Telmo and Monserrat either, with their balconied late-19th- and early-20th-century structures decaying gracefully as they await renovation when the economy improves. The Palermo Park system runs along Avenida Libertador and is one of the world’s most beautiful. You could spend a long time wandering this monumental part of the city, and never tire of its beauty and mystery. Buenos Aires’ vast arrays of museums, many in beautiful neoclassical structures along Avenida Libertador, are as exquisite as the treasures they hold inside. If shopping is your thing, there’s no shortage of top designer shops along Calle Alvear. Leather shops abound on Calle Florida, near Galerías Pacífico, where you can have items custom-made. For small boutiques specializing in the Argentine look, wander the cobblestone streets of Palermo Soho. If outdoor markets are more your style, there is no market like the San Telmo Antiques Fair held every Sunday in Plaza Dorrego, the old colonial heart of the San Telmo district. You’ll find lots of small antiques and collectibles dealers here, along with kitschy souvenirs, local crafts, and lots of free live tango dancing as good as anything you might pay $50 to see onstage. The Feria de Plaza Francia, in front of the Recoleta Cemetery, is another can’t-miss market, with great crafts, live music, and a beautiful setting on a grassy hill. Speaking of the Tango… Recently in danger of dying out, the tango has experienced explosive growth in popularity as far afield as Finland. New varieties of shows demonstrate a wide variety of tango styles. But why watch when you can tango yourself? Traditional, 1930s-style milongas (tango salons), have recently opened in spaces all over town. In addition to the traditional set, these milongas draw young Argentines, who have rediscovered their grandparents’ favorite dance, as well as young ex-pats from all over the world who are making Buenos Aires the world’s new hot city. For trips further afield, there is excellent public transportation in the city including trains, subways, buses, and even ferries to neighboring Uruguay.